WASHINGTON — As education and workforce subcommittee members and policy experts attending a hearing Wednesday on Capitol Hill examined ways to help students and families make higher education decisions, they were reminded that student privacy should always be priority. 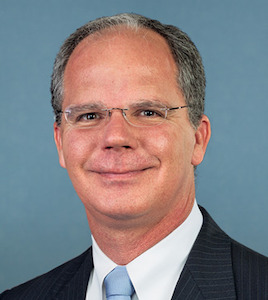 “The need to provide students and policymakers with more information — no matter how valuable that information may be — should never come at the expense of student privacy,” said Rep. Brett Guthrie (R-Ky.). “Quite frankly, we don’t really know what’s working and what’s not. The hearing, titled “Empowering Students and Families to Make Informed Decisions on Higher Education,” was a discussion of ways to improve the Higher Education Act, increase transparency and ensure federal student aid programs are sufficient. Experts invited to testify as witnesses included Dr. Mark Schneider, vice president at the American Institutes for Research; Jason Delisle, vice president at the American Enterprise Institute; Andrew K. Benton, president and chief executive officer at Pepperdine University; and Mamie Voight, vice president of policy research at the Institute for Higher Education Policy (IHEP). The testimonies given by the key witnesses focused on changing the Integrated Postsecondary Data Source (IPEDS) to collect information on all types of students’ success and decision making, as well as what students’ information an institution requires and chooses to make public. Currently, IPEDS’ data only covers first-time, full-time students. Everyone in the room agreed that it needs to be changed to study all types of students, in order to benefit the institution and future college students looking where to go for higher education. “Institutions have to report to multiple different entities … and that is highly burdensome on them. An improved system that would streamline that collection would help to alleviate the burden on those institutions, so instead of focusing that data on reporting the data on compliance purposes, they could instead use that data and focus on educating (future and current) students,” Voight said. Several potential improvements to the Higher Education Act also were addressed. For instance, Delisle suggested making data sets owned by the Department of Education and Treasury open to the public so families can research information the departments found which may not be on the college or university’s website. Benton also suggested that the federal government use a system that Pepperdine and other similar colleges use, called the University and College Accountability Network, or UCAN, to improve the data systems used towards higher education. “UCAN is based on feedback from parents and students regarding what they need to know in order to make more informed college choices, and it includes quantitative data such as cost of attendance; tuition and fees history; percentage of freshmen receiving financial aid; average amount of undergraduate loans owed to graduation; admissions data, including the number of transfer students; percentage of students who graduate; and number of degrees awarded,” Benton said in his online testimony. When on the topic of a student’s privacy and what an institution chooses to make public, there was emphasis on making sure their privacy is protected in the federal, state, and institutional levels. Rep. Virginia Foxx (R-N.C.) said that “the federal government has a lousy reputation” when it comes to keeping information private. Benton added that when a student attends a college or university, there is a promise made from the institution to the students which results in a relationship between the two. The institution needs to make sure that if they need to use part of a student’s personal information, they first obtain consent in order to maintain that bond. Recently, U.S. Senators Elizabeth Warren (D-Mass. ), Orrin Hatch (R-Utah), Bill Cassidy (R-La.) and Sheldon Whitehouse (D-R.I.) proposed a bill called the College Transparency Act of 2017, which could improve the reporting on student outcomes of all variations. Several of the speakers Wednesday said that if the act does pass, it will help protect students’ records and what can be used for data systems from institutional, state, or federal levels. Rep. Jared Polis(D-Colo.) mentioned the CTAs bipartisan support and noted that it is “not driven by the government, but by organizations representing institutions of higher education.” Polis also said that he has a letter from 77 organizations in favor of the College Transparency Act.